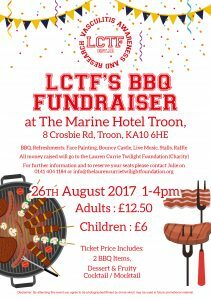 Join us for our Summer BBQ at the beautiful Marine Hotel. The Weather is looking great and we promise great food, entertainment and fun for all the family! We also have some fantastic Prizes to win to! Come and have fun and help us raise funds.